Pâté is a wonderful use of liver because it transforms the liver into something else entirely, something delicious and even unrecognizable from it’s original form. 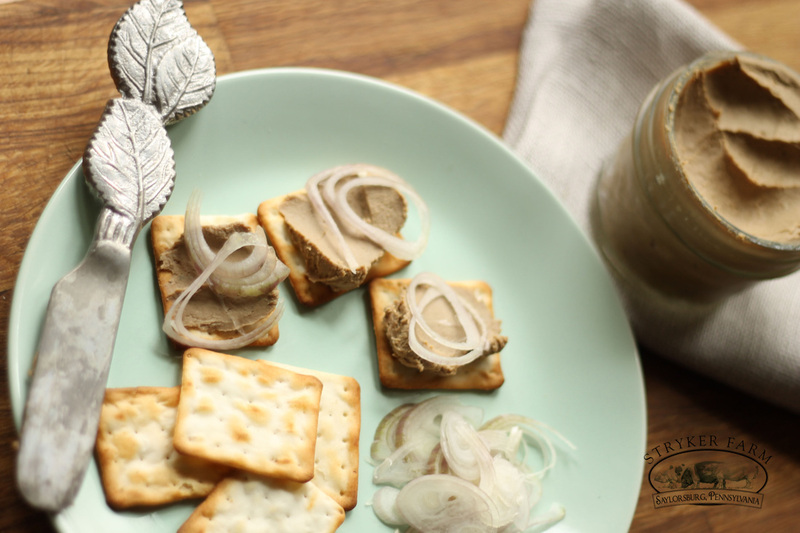 Half of a pig liver will render about 5 small 4 oz mason jars of pâté which you can refrigerate or freeze and pull out for parties or hostess gifts. The pig liver is quite large, and unless you want to make an obscene amount of pâté, which you certainly could, you’ll want to cut it in half. Remove any connective tissue, the white portions. All that should remain is the richly colored organ tissue. Cut into half, or 1 ½ lbs worth. Reserve the other half for later. Cut the liver into 1 inch cubes. 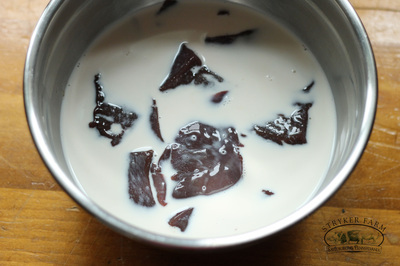 Place it in a bowl, cover with milk and refrigerate for at least an hour. 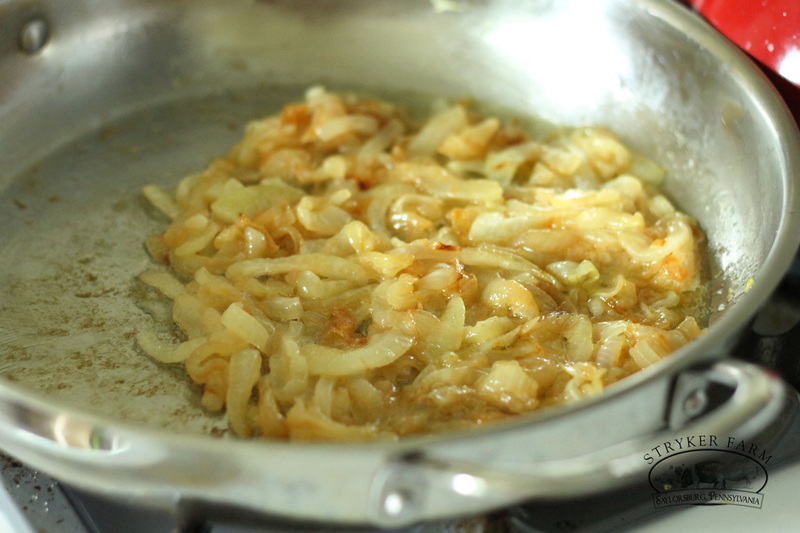 Meanwhile start to caramelize the onions. This might take more than an hour anyway. Add the butter, onions and pinch of salt to a large pan. Take heed of the word “caramelize”, not saute. Cook them on a low heat, slowly. This truly transforms the onions and draws out the natural sugars. Stir them every so often so they brown, but don’t burn. When the onions are a rich caramel color and have almost disintegrated, add the minced garlic. Let the garlic soften a bit. Pull out the liver, drain the cubes from the milk and add to the onions. 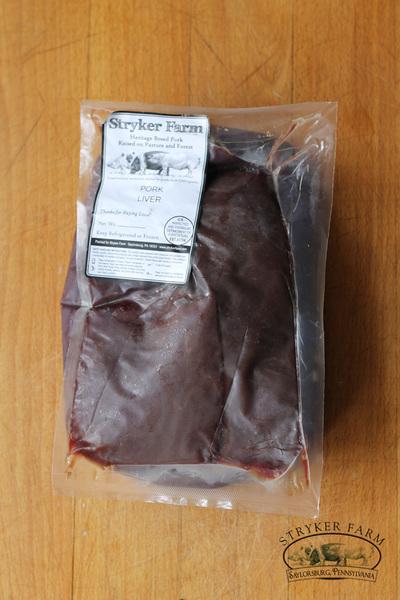 Cook the liver until the cubes are firm to the touch and the juices runs clear. 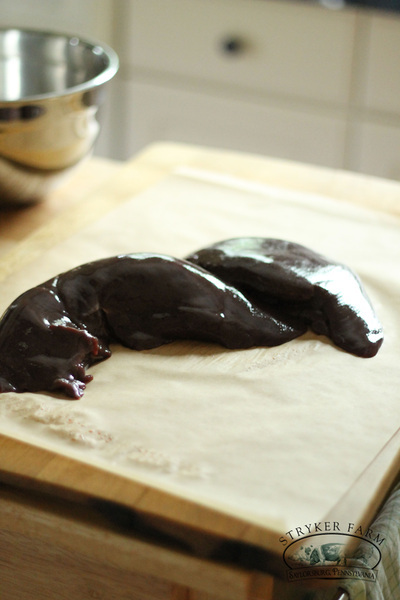 Deglaze the pan with a slosh of port or brandy. 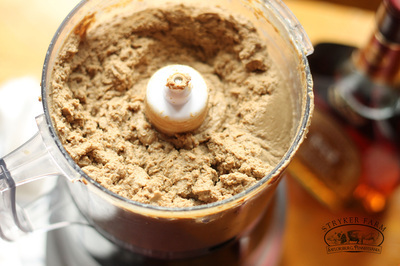 Transfer the contents of the pan to a food processor (you might have to do this in batches). Add the port or brandy, my grandmother always preferred port, and the cream. 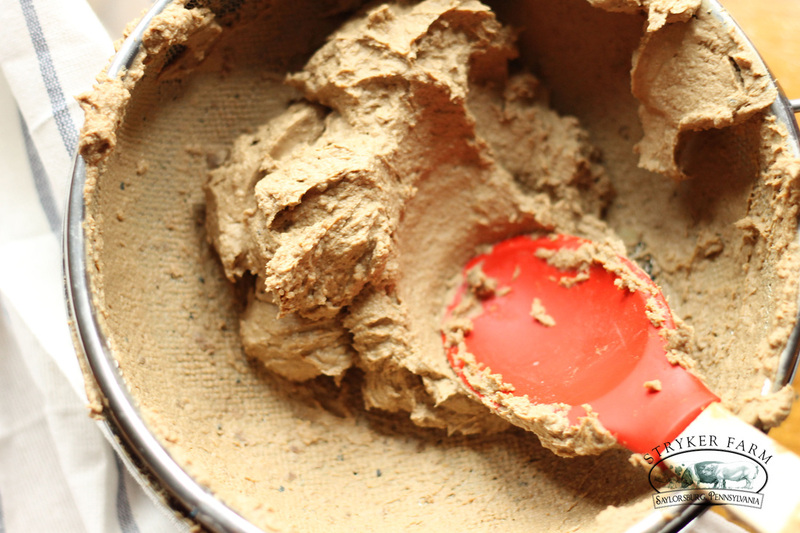 Whip everything to a super fine mousse. 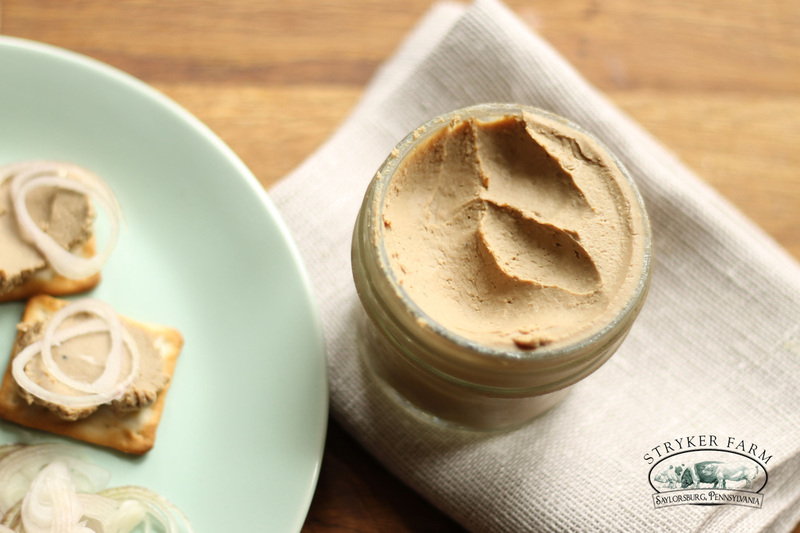 For a fabulously creamy and smooth pâté, you’ll need to do one final and seemingly superfluous step. Scoop out the blended mousse into a fine mesh sieve set over a bowl. Using a flexible spatula, push the mousse through the sieve. 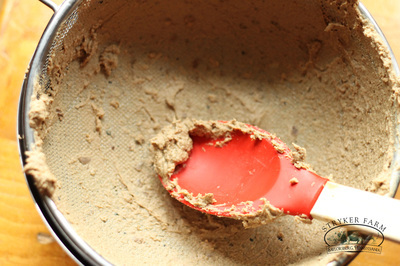 At first it seems like nothing is happening, but then you notice a strange play-dough like phenomenon happening under the sieve. Eventually you’ll push through all the pâté and have separated any larger bits. Use a butter knife to scrape off the pâté into your jars. I used five 4 oz mason jars. 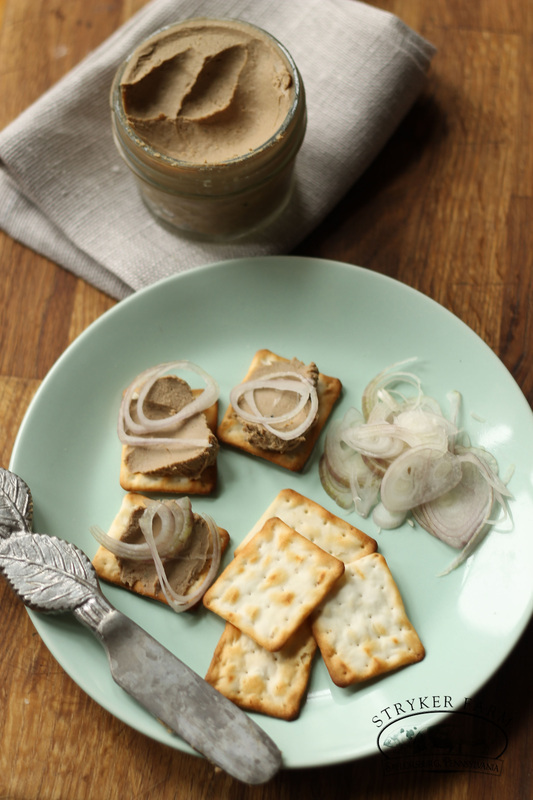 Serve the pâté chilled and spread on crackers. Thinly sliced shallots are a tasty topping.